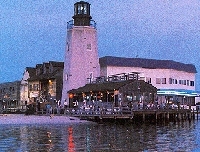 TRAVEL.org - Delaware, Find hotels in Milford, Dover, Dewey Beach, and other cities in Delaware, along with more travel information. Delaware, The First State. No Sales Tax Here! A really nice place to visit. Rehoboth Beach Fever - One family's vacation experiences, reviews and adventures in beautiful Rehoboth Beach, Delaware. The Bellmoor Inn & Spa - is a Rehoboth Beach luxury resort hotel offering spacious and well-appointed guest rooms, a full service day spa, complimentary hot breakfast, meeting and banquet facilities, and a central location near top Rehoboth Beach attractions. Wilmington Delaware Hotels and Accommodations - Discounted rates on Hotel rooms, Car Rentals, Flights, Vacation Rentals. Discountedhotels.com, your complete travel resource. DART FIRST STATE provides bus service within the entire state of Delaware. Call 1-800-652-DART or 302-655-3381 (TDD 655-1537) for more information.